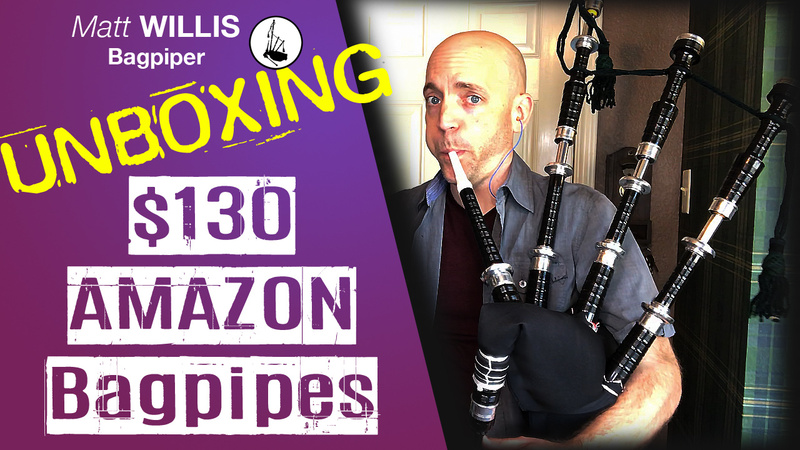 I decided to see if I could get a $130 Amazon/Pakistani bagpipe up and playable… And the videos are now online! Full unboxing (which is always fun!) and setup of these pipes. Here’s part 1: https://youtu.be/KyUxVu_mis0 where I attempt to use only the provided reeds and supplies to make the pipes function. And here’s part 2: https://youtu.be/ZVMLoKwHfH8 where I attempt to use name-brand quality bagpipe reeds and components to make the instrument play. How does it go? You’ll have to go watch (and subscribe!) to find out! Spoiler alert: not well!